Many ultrashort laser pulse measurement schemes such as frequency-resolved optical gating (FROG), interferometric FROG, dispersion scan, or time-domain ptychography require a specific, iterative algorithm to retrieve pulse amplitude and phase from the measurement. In this work, we present a common pulse retrieval algorithm (COPRA) that can be applied on a broad class of measurements, including but not limited to the aforementioned ones. We demonstrate its properties in comprehensive numerical tests and show that it is fast, reliable, and accurate in the presence of Gaussian noise. For FROG, we compare it to retrieval algorithms based on generalized projections and ptychography. Furthermore, we discuss the pulse retrieval problem as a nonlinear least squares problem and demonstrate the importance of obtaining a least squares solution for noisy data. In our tests, COPRA is shown to be faster and gives more accurate results in comparison to existing retrieval algorithms. Furthermore, it can be universally applied to measurements for which no specific retrieval algorithm was known before. I. A. Walmsley and C. Dorrer, “Characterization of ultrashort electromagnetic pulses,” Adv. Opt. Photon. 1, 308–437 (2009). E. P. Ippen and C. V. Shank, “Techniques for measurement,” in Ultrashort Light Pulses: Picosecond Techniques and Applications, S. L. Shapiro, ed. (Springer Berlin Heidelberg, 1977), pp. 83–122. J.-C. M. Diels, J. J. Fontaine, I. C. McMichael, and F. Simoni, “Control and measurement of ultrashort pulse shapes (in amplitude and phase) with femtosecond accuracy,” Appl. Opt. 24, 1270–1282 (1985). J.-H. Chung and A. M. Weiner, “Ambiguity of ultrashort pulse shapes retrieved from the intensity autocorrelation and the power spectrum,” IEEE J. Sel. Top. Quantum Electron. 7, 656–666 (2001). D. J. Kane and R. Trebino, “Characterization of arbitrary femtosecond pulses using frequency-resolved optical gating,” IEEE J. Quantum Electron. 29, 571–579 (1993). R. Trebino, Frequency-Resolved Optical Gating: The Measurement of Ultrashort Laser Pulses (Springer, 2000). B. Seifert, H. Stolz, and M. Tasche, “Nontrivial ambiguities for blind frequency-resolved optical gating and the problem of uniqueness,” J. Opt. Soc. Am. B 21, 1089–1097 (2004). T. Bendory, P. Sidorenko, and Y. C. Eldar, “On the uniqueness of FROG methods,” IEEE Signal Process. Lett. 24, 722–726 (2017). G. Stibenz and G. Steinmeyer, “Interferometric frequency-resolved optical gating,” Opt. Express 13, 2617–2626 (2005). J. Hyyti, E. Escoto, and G. Steinmeyer, “Third-harmonic interferometric frequency-resolved optical gating,” J. Opt. Soc. Am. B 34, 2367–2375 (2017). J. Hyyti, E. Escoto, and G. Steinmeyer, “Pulse retrieval algorithm for interferometric frequency-resolved optical gating based on differential evolution,” Rev. Sci. Instrum. 88, 103102 (2017). K. W. DeLong and R. Trebino, “Improved ultrashort pulse-retrieval algorithm for frequency-resolved optical gating,” J. Opt. Soc. Am. A 11, 2429–2437 (1994). D. Griffin and J. Lim, “Signal estimation from modified short-time Fourier transform,” IEEE Trans. Acoustics Speech Signal Process. 32, 236–243 (1984). A. Levi and H. Stark, “Image restoration by the method of generalized projections with application to restoration from magnitude,” J. Opt. Soc. Am. A 1, 932–943 (1984). E. Yudilevich, A. Levi, G. J. Habetler, and H. Stark, “Restoration of signals from their signed Fourier-transform magnitude by the method of generalized projections,” J. Opt. Soc. Am. A 4, 236–246 (1987). Y. Yang, N. P. Galatsanos, and H. Stark, “Projection-based blind deconvolution,” J. Opt. Soc. Am. A 11, 2401–2409 (1994). K. W. DeLong, B. Kohler, K. Wilson, D. N. Fittinghoff, and R. Trebino, “Pulse retrieval in frequency-resolved optical gating based on the method of generalized projections,” Opt. Lett. 19, 2152–2154 (1994). D. J. Kane, G. Rodriguez, A. J. Taylor, and T. S. Clement, “Simultaneous measurement of two ultrashort laser pulses from a single spectrogram in a single shot,” J. Opt. Soc. Am. B 14, 935–943 (1997). D. J. Kane, “Real-time measurement of ultrashort laser pulses using principal component generalized projections,” IEEE J. Sel. Top. Quantum Electron. 4, 278–284 (1998). M. Miranda, T. Fordell, C. Arnold, A. L’Huillier, and H. Crespo, “Simultaneous compression and characterization of ultrashort laser pulses using chirped mirrors and glass wedges,” Opt. Express 20, 688–697 (2012). 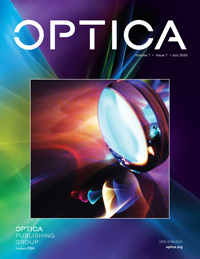 M. Miranda, C. L. Arnold, T. Fordell, F. Silva, B. Alonso, R. Weigand, A. L’Huillier, and H. Crespo, “Characterization of broadband few-cycle laser pulses with the d-scan technique,” Opt. Express 20, 18732–18743 (2012). M. Hoffmann, T. Nagy, T. Willemsen, M. Jupé, D. Ristau, and U. Morgner, “Pulse characterization by THG d-scan in absorbing nonlinear media,” Opt. Express 22, 5234–5240 (2014). M. Canhota, F. Silva, R. Weigand, and H. M. Crespo, “Inline self-diffraction dispersion-scan of over octave-spanning pulses in the single-cycle regime,” Opt. Lett. 42, 3048–3051 (2017). M. Miranda, J. Penedones, C. Guo, A. Harth, M. Louisy, L. Neoričić, A. L’Huillier, and C. L. Arnold, “Fast iterative retrieval algorithm for ultrashort pulse characterization using dispersion scans,” J. Opt. Soc. Am. B 34, 190–197 (2017). S. Kleinert, A. Tajalli, T. Nagy, and U. Morgner, “Rapid phase retrieval of ultrashort pulses from dispersion scan traces using deep neural networks,” Opt. Lett. 44, 979–982 (2019). V. V. Lozovoy, I. Pastirk, and M. Dantus, “Multiphoton intrapulse interference. IV. Ultrashort laser pulse spectral phase characterization and compensation,” Opt. Lett. 29, 775–777 (2004). B. Xu, J. M. Gunn, J. M. D. Cruz, V. V. Lozovoy, and M. Dantus, “Quantitative investigation of the multiphoton intrapulse interference phase scan method for simultaneous phase measurement and compensation of femtosecond laser pulses,” J. Opt. Soc. Am. B 23, 750–759 (2006). A. Galler and T. Feurer, “Pulse shaper assisted short laser pulse characterization,” Appl. Phys. B 90, 427–430 (2008). N. Forget, V. Crozatier, and T. Oksenhendler, “Pulse-measurement techniques using a single amplitude and phase spectral shaper,” J. Opt. Soc. Am. B 27, 742–756 (2010). V. Loriot, G. Gitzinger, and N. Forget, “Self-referenced characterization of femtosecond laser pulses by chirp scan,” Opt. Express 21, 24879–24893 (2013). D. E. Wilcox and J. P. Ogilvie, “Comparison of pulse compression methods using only a pulse shaper,” J. Opt. Soc. Am. B 31, 1544–1554 (2014). D. Spangenberg, E. Rohwer, M. H. Brügmann, and T. Feurer, “Ptychographic ultrafast pulse reconstruction,” Opt. Lett. 40, 1002–1005 (2015). D.-M. Spangenberg, M. Brügmann, E. Rohwer, and T. Feurer, “All-optical implementation of a time-domain ptychographic pulse reconstruction setup,” Appl. Opt. 55, 5008–5013 (2016). T. Witting, D. Greening, D. Walke, P. Matia-Hernando, T. Barillot, J. P. Marangos, and J. W. G. Tisch, “Time-domain ptychography of over-octave-spanning laser pulses in the single-cycle regime,” Opt. Lett. 41, 4218–4221 (2016). R. Hegerl and W. Hoppe, “Dynamische Theorie der Kristallstrukturanalyse durch Elektronenbeugung im inhomogenen Primärstrahlwellenfeld,” Ber. Bunsen. Phys. Chem. 74, 1148–1154 (1970). A. Maiden, D. Johnson, and P. Li, “Further improvements to the ptychographical iterative engine,” Optica 4, 736–745 (2017). A. M. Heidt, D.-M. Spangenberg, M. Brügmann, E. G. Rohwer, and T. Feurer, “Improved retrieval of complex supercontinuum pulses from XFROG traces using a ptychographic algorithm,” Opt. Lett. 41, 4903–4906 (2016). P. Sidorenko, O. Lahav, Z. Avnat, and O. Cohen, “Ptychographic reconstruction algorithm for frequency-resolved optical gating: super-resolution and supreme robustness,” Optica 3, 1320–1330(2016). P. Sidorenko, O. Lahav, Z. Avnat, and O. Cohen, “Ptychographic reconstruction algorithm for frequency resolved optical gating: super-resolution and extreme robustness: erratum,” Optica 4, 1388–1389 (2017). C. Iaconis and I. A. Walmsley, “Spectral phase interferometry for direct electric-field reconstruction of ultrashort optical pulses,” Opt. Lett. 23, 792–794 (1998). D. Keusters, H.-S. Tan, P. O’Shea, E. Zeek, R. Trebino, and W. S. Warren, “Relative-phase ambiguities in measurements of ultrashort pulses with well-separated multiple frequency components,” J. Opt. Soc. Am. B 20, 2226–2237 (2003). T. Bendory, R. Beinert, and Y. C. Eldar, “Fourier phase retrieval: uniqueness and algorithms,” in Compressed Sensing and its Applications, H. Boche, G. Caire, R. Calderbank, M. März, G. Kutyniok, and R. Mathar, eds. (Birkhäuser, 2017), pp. 55–91. A. Tarantola, Inverse Problem Theory and Methods for Model Parameter Estimation (SIAM, 2005). G. Seber and C. Wild, Nonlinear Regression (Wiley, 2003). J. J. Davenport, J. Hodgkinson, J. R. Saffell, and R. P. Tatam, “Noise analysis for CCD-based ultraviolet and visible spectrophotometry,” Appl. Opt. 54, 8135–8144 (2015). E. Escoto, A. Tajalli, T. Nagy, and G. Steinmeyer, “Advanced phase retrieval for dispersion scan: a comparative study,” J. Opt. Soc. Am. B 35, 8–19 (2018). C. Dorrer and I. A. Walmsley, “Accuracy criterion for ultrashort pulse characterization techniques: application to spectral phase interferometry for direct electric field reconstruction,” J. Opt. Soc. Am. B 19, 1019–1029 (2002). J. Nocedal and S. J. Wright, Numerical Optimization, 2nd ed. (Springer, 2006). N. C. Geib, “Python for pulse retrieval,” https://github.com/ncgeib/pypret . Fig. 1. (a) Diagram of the discrete PNPS formalism. (b) First stage of COPRA: local iteration. (c) Second stage of COPRA: global iteration. Fig. 2. (a) Synthetic SHG-FROG trace with N=M=64. (b) Trace error obtained by four different minimization algorithms plotted over the number of full evaluations of the trace T˜mn. Shown are the best out of 10 runs for every algorithm. Fig. 3. Pulse retrieval from different PNPS measurements using COPRA. (a)–(d) Synthetic measurement traces with added Gaussian noise (σ=1%). (e)–(h) The retrieved pulses (blue, intensity; orange, phase) and the original pulse (in black). The retrieval error ε quantifies the retrieval accuracy. The test pulse has a time–bandwidth product of 2. Fig. 4. Convergence behavior for σ=0%. (a) Comparison of algorithms, (b)–(d) comparison of PNPS methods when retrieving with COPRA. Shown is the median (bold line) and the interquartile range (shaded area) of the running minimum of R. Only the local iteration was used in COPRA. Fig. 5. Convergence behavior for noisy measurements (σ=1%). (a) Comparison of algorithms; (b)–(d) comparison of PNPS methods when retrieving with COPRA (solid, local iteration; dashed, global iteration). Shown is the median (bold line) and the interquartile range (shaded area) of the running minimum of R.
Fig. 6. Robustness against additive Gaussian noise: (a) synthetic SHG-FROG trace of a pulse with TBP 2. A high level of Gaussian noise was added (σ=3%). (b)–(e) The pulses retrieved from the trace using different algorithms (blue, intensity; orange, phase) compared to the test pulse (black). ε quantifies the retrieval accuracy. Fig. 7. Retrieval ratio (blue bar) and median retrieval error (inset number) of COPRA in dependence of the PNPS method and the noise level. A comparison with PCGPA and PIE for SHG-FROG is included. Successful retrieval was assumed if R<R0+1e–4. Fig. 8. Pulse retrieval from an incomplete THG-iFROG measurement. (a) Synthetic measurement trace with added noise (σ=1%). Twenty-five of N=256 spectral measurements were used for retrieval (indicated by color). (b) The retrieved pulse (blue, intensity; orange, phase) and the test pulse (black). ε quantifies the retrieval accuracy.